You’ve probably heard about our Donate Dominate rides. Every Friday at 6pm we have $10 rides. Each month or so the proceeds go to a different charity or cause close to our hearts. You can sign up here. In January we held a very special set of team-taught Donate Dominate rides featuring our owners Christy and Jamie. We dubbed them “Ride for Mom”; both Jamie & Christy’s mothers battled cancer. 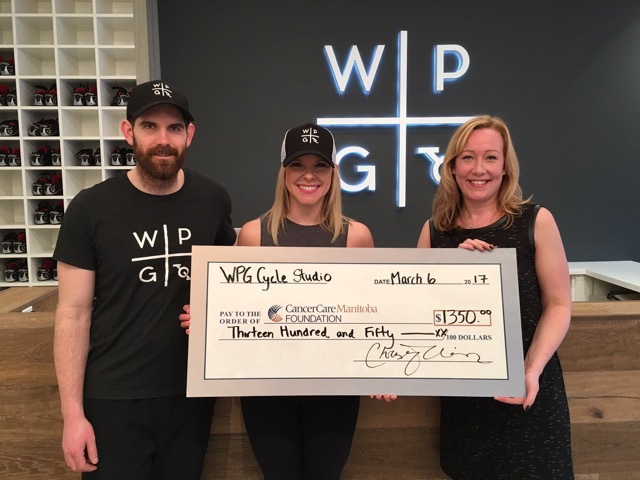 With your help and generosity we were able to raise $1350 for the CancerCare Manitoba Foundation! Our friends at CTV Winnipeg even came by to discuss how staying active can help reduce the risk of cancer and can combat some of the side effects of treatment.